We’re moving Dissecting the Coverage to midweek in hopes that the new schedule will give you all that much more time to read and especially share these great Army Sports articles. We hope you like the change, but this particular series remains something of a work in progress. If you’ve got thoughts about it, let us hear them. 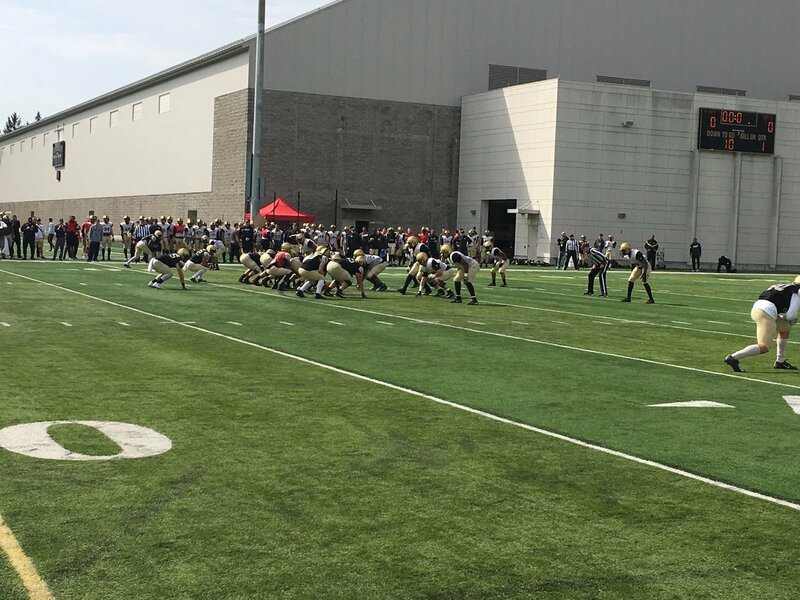 The Army football team held its first scrimmage of the spring this past Saturday. I wouldn’t say that a lot of news came out of it, but it’s nice to see the guys working, and the early reports certainly looked good. 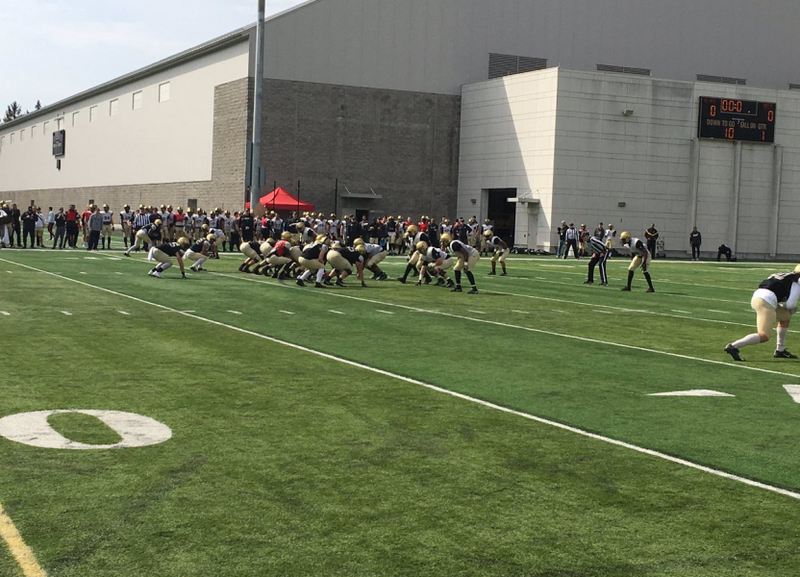 A couple of videos came out of the scrimmage. We’ll start with the one from Times Herald-Record beat writer Sal Interdonato. His Army Football Insider blog is a must-read, especially for Army recruiting. Walker’s comment about the team having a new kind of speed in the slotbacks’ room is perhaps the most interesting item to come out of spring camp. We’ve talked some on the podcast about how a more explosive perimeter threat would open up the middle of the field for the midline-option, and it seems like OC Brent Davis might finally have the weapons to make that work. Army fans should be legitimately excited about the possibilities. Not that Walker himself isn’t fast, but I wouldn’t have called him a pure “speed” guy. He’s more of a banger with good hands and enough speed to get the job done. But we saw a bit more pure blaze out of rising cow SB Artice Hobbs in the bowl game, and it sounds like they might have a couple more would-be contributors with speed in the slotbacks’ room as well. We also saw rising yearling FB Cade Barnard score a two-yard touchdown in the scrimmage. Barnard was a highly recruiting fullback coming out of high school, so it’s good to see that he’s moved into position to contribute. Nothing is set in stone obviously, but it looks like your new fullback rotation is going to feature rising firstie Connor Slomka, rising cow Sandon McCoy, Barnard, and (maybe) rising yearling Clay Czyzynski if he isn’t moved back into the quarterbacks’ room. I expect Slomka to slide into Darnell Woolfolk’s former role since he has the most experience and has also had the most success in the short yardage game. But the team would also like to have somebody with a little more speed ala Andy Davidson, as well. I’m looking for Barnard there, but we’ll see how it plays out. [Christian] Anderson… was tabbed as the second-stringer during the scrimmage, wearing a red non-contact practice jersey along with [starting QB Kelvin] Hopkins. At Cardinal Hayes High School in the Bronx, Anderson led a spread offense, and he admitted the transition during his first year was challenging. 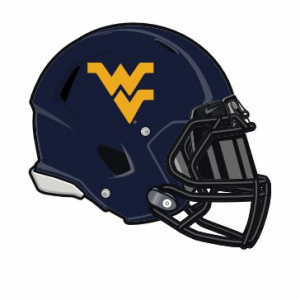 But he’s found a balance, and it showed Saturday, as he connected with receivers on a couple of tough throws — including a 30-yard strike to running back Dominic Distefano — but he also broke past the line of scrimmage for a handful of first-down runs. [Yearlings Jabari] Laws and [Tyhier] Tyler, both shorter, shiftier quarterbacks, each scored on a rushing touchdown, and Monken compared Mbony, who saw the lowest number of snaps behind center on Saturday, to former Army quarterback Ahmad Bradshaw after the scrimmage. If the team had a game tomorrow, Anderson would almost certainly be the backup. However, I get the sense that the coaches aren’t in any hurry to make an actual decision, nor do they need to be. Nobody had Cam Thomas tabbed as the #2 before the 2018 season; he played his way into that role. I expect we’ll see something similar in 2019, with the caveat that if a younger guy is playing well, he’ll likely get the job over an older guy as a way to begin developing for the future. Coach Brent Davis has the West Point Offense rolling! The 2018 Black Knights set records for wins in a season & the NCAA record for most points in a bowl game! Ladies and gentlemen, West Point has a new National Champion! The following is paraphrased from a text message conversation I had over the weekend. “Advice on the advice to give to a prepster athlete thinking about NOT going to the academy? His brother just got offers from a couple of schools in the SEC, and my man is thinking about joining him. He’s struggled at the Prep School; meanwhile, he hears from his brother and from some SEC coaches about how ‘easy’ their academics are for football players. Let’s start with the financial arguments and assume the best reasonable case for the SEC. Our would-be cadet leaves the Prep School, plays in the SEC, and actually makes it into the League. I refuse to assume that this guy gets drafted, but I’ll allow that he makes a team as an undrafted free agent out of his very first training camp. To be clear, that is extremely unlikely, it is something like the upper 3% of all possible outcomes, but let’s roll with it. The average NFL career is three years with a minimum starting salary of about a half-million dollars. If our guy can play those three years, he’ll finish with a salary of about $750K, after which his lifetime earnings will have peaked. His three-year total will be about $1.8M. That’s a lot of money, and it’s better to get it now rather than later, but it’s still nowhere near enough to last forever. Our former prepster had better be ready to get a real job. But still, $1.8M is a lot. By contrast, West Point is something like the #7 school in the nation in terms of graduate salaries. Mid-career West Pointers average just over $120K/year. Bottom line, an average West Point graduate can expect to make that same $1.8M in something less than fifteen years, with the primary difference being that the mid-career $120K isn’t peak earnings, it’s just a snapshot mid-career average. West Pointers can still expect to have upside at the age of, say, 30 or 35. This isn’t necessarily true for former SEC college football players, though it’s of course possible if they haven’t blown off their educations. Arguing that it’s good that SEC academics are “easy” for football players is arguing that it’s okay for football players to be poor if they can’t make it into the League. Because nobody wants to hire a guy who’s academically lazy or who’s just not smart, one who’s proven that he’s flat not willing to do the work. And that’s not what Real World success looks like. Hell, it’s not even what success in the NFL looks like. Maybe the military isn’t right for everyone. Maybe it’s not right for this particular would-be cadet. I don’t know, nor is it my place to decide. However, there is no universe in which this kid can decide that academics aren’t for him and in which he can still expect to be professionally successful. That’s just not how it’s going to work, and it’s sad that this is what’s being offered. As far as serving as an athlete is concerned, I personally think that having an athletic background helps a lot with the everyday tasks of being a military officer. But that’s a concern for a firstie. For a would-be plebe, it comes down to what kind of college experience you want and what kind of person you want to be. My favorite thing about West Point—by a lot—was that “Every cadet is an athlete.” It took me a while to get this because I was pretty used to being a high school sports hero before arriving at the Academy. Then I get there, and suddenly I’m just one of many, and… It was not an easy adjustment. But by the end of Beast Barracks, I’d realized that I was much better off having friends who actually understood me than I had been with the casual admirers who’d once been enamored of the fact that I’d help lead our high school swim team to back-to-back conference championships. Those folks hadn’t actually been friends; they just liked cheering for our school. That’s not the same thing at all. I took this shot after a home game last year. This is a legit concern. 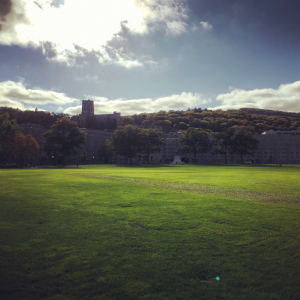 If you want to go someplace where you can do your thing at a very high level and still be “just one of the guys,” then West Point might be for you. Everybody at West Point is doing something amazing. These are folks who will literally go to war with you, who you’ll be happy to have at your side. The flipside of that, though, is that if you need to have people put you on some kind of pedestal because you’re good at sports, well, nobody at any of the academies is going to do that. That’s just not what’s on offer. My personal feeling is that if a guy has a realistic chance to go in the top three rounds of the NFL draft, then the SEC makes sense because the minimum $1.8M up front is a Hell of a good start on professional life, and if you can play longer, obviously you can do better still. However, day three draft picks (or lower) probably ought to try to maximize the value of their educations because the overwhelming probability is that they’re going to need those educations someday in order to make a living. Military academies are obviously not the only way to do that, but going somewhere because the classes are “easy” is another way of admitting to yourself that you don’t mind being dumb. Niumatalolo… has led the Midshipmen for 11 seasons now, and he has been a rousing success. Navy has won double-digit games twice and finished ranked once. In their first season in a conference (the AAC, the most consistently strong mid-major), they tied for first in their division. In their second season, they won outright. Niumatalolo has averaged nearly eight wins a year (7.9) at a job that goes out of its way to have disadvantages compared to its football peers. His win total has now shrunk by multiple games for three straight years, though, from 11 to nine to seven to three. The rest of the article makes a surprisingly compelling argument that QB Malcolm Perry wasn’t the problem last year, and that as Coach N has himself suggested, leaving Perry at quarterback might actually provide the Mids their best overall chance of success in 2019. They further note that Navy’s defense can hardly get worse than they were last year, but… I mean, that is maybe true in terms of their statistical rankings in the FBS, but it’s not true at all from the standpoint of sheer on the field performance. Navy graduated a ton of seniors off of last year’s defensive squad, and despite their overall results, several of those guys were really good players. For example, they won’t necessarily replace LB Taylor Heflin with the “next man up,” even if he wasn’t enough to transform the defense all by himself. However, you just had to watch the Air Force game to see how much he meant to their overall defensive efficacy. When he went out, the Mids fell apart. SB*Nation is calling for Navy to go 4-8. I think they might do better than that, but I wouldn’t set the Over/Under higher than five. Grier is generally viewed as a second-day prospect. NFL decision-makers aren’t necessarily in agreement, and his status is changing as evaluators get a chance to learn more about him and see him throw in different settings. I still like Grier, and if he somehow makes it onto the Giants’ roster, I won’t be heartbroken. But after watching Drew Lock in his bowl game and some of Haskins’s play, I tend to agree that Grier is a second round prospect–at best. If the Giants take a quarterback in this draft, I definitely do not believe that they’ll take him in the second round. So this probably isn’t going to happen. That’s all we’ve got this week. See you next Wednesday!